Union Minister of Commerce & Industry and Civil Aviation, Shri Suresh Prabhu released the brochure along with the logo (logos) of Logix India 2019 in New Delhi on November 28, 2018. Logics will prove to be helpful in ensuring the efficient and economical flow of goods to those who are dependent on other commercial areas. Logics India will ensure effective or effective international trade logistics. 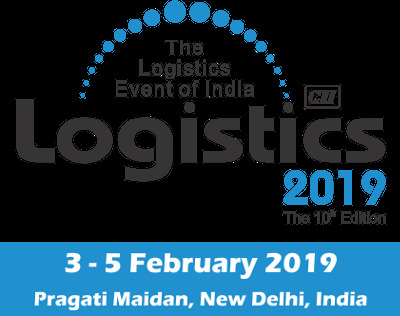 The Logix India 2019 will be held from January 31 to February 2, 2019, in New Delhi. This mega logistics meeting will be organized by the Federation of Indian Export Organizations (FIEO). It will be organized as a major initiative to increase logistics cost and reduce the operational efficiency of India's global business. In this, more than 20 countries will send their respective delegates to this meeting so that the possibilities of organizing logistics related matters with India can be searched. India is at 44th position in the World Bank's 'Logistics Performance Index 2018'. According to the Economic Survey 2017-18, the size of India's logistics industry is likely to increase from about 160 billion US dollars to the level of US $ 215 billion in the next two years. The logistics sector employs more than 22 million people and is expected to grow at the rate of 10.5 percent of this sector in the next five years.